Front welt pockets with ribbed openings. Full zip with ribbed collar; Contrast inner collar. Ribbed cuffs and hem. Shiny fabric. Piping on collar and hem. adidas Badge of Sport on chest. Relaxed fit drapes on the body for ample movement. 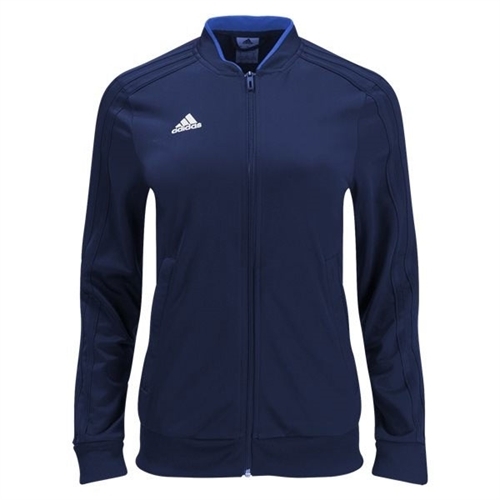 adidas Women's Condivo 18 Training Jacket keeps your warm and dry during training and warm up. The condivo jackets makes you be a step ahead of the elements.